The ESDS is a new device that repels sharks. A new, compact, effective, tested technology that will help keep sharks at bay. Great for swimmers, divers, surfers, or anybody with an aversion to sharks, everyone! Years in the making, lightweight, rechargeable, Electronic Shark Defence Systems has you covered. The Electronic Shark Defense System was tested on divers that swam around with it with sharks around. The sharks would just fade away. They wouldn’t even attempt to come close. It is about the size of a deck of cards and weighs about seven ounces. It runs on a battery that lasts nine hours before it needs a recharge. The ESDS device is designed to be attached to a surfboard leash, but also can be used by divers. 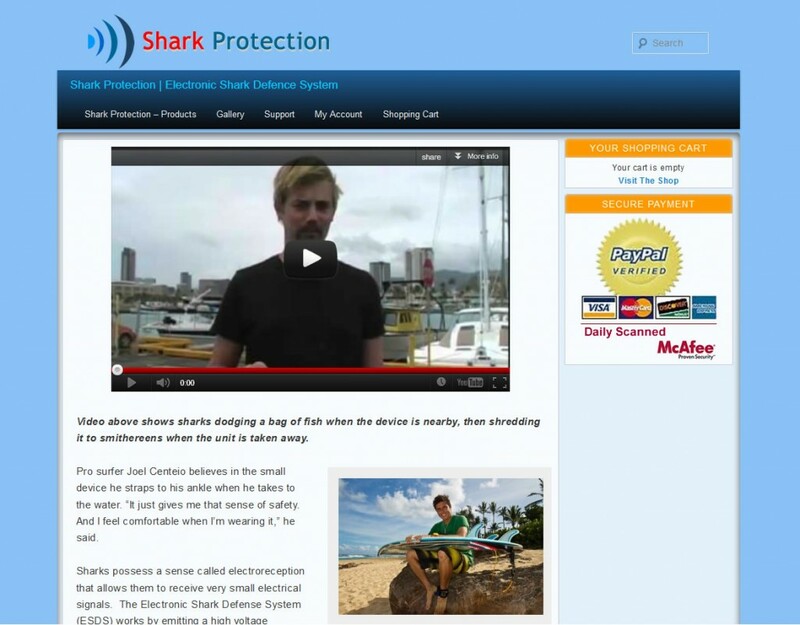 Surfers, divers and even normal beach goers should use the Electronic Shark Defense System.